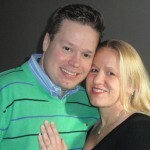 Congratulations to Kristin & Steven who are the winners of the Free Honeymoon to Orlando with Disney/Seaworld Passes. This generous contest was provided by Tropical Escape Vacation Homes and Kissimmee Guest Services. They receive a FREE 1 week stay in a large, luxurious, and spacious house, just minutes from Disney with 2 Free park hopper passes to Disney World and 2 Free passes to Sea World.